to show you how amazing their tape is at creating super crisp lines, in a nutshell here’s how it went. I read my email and I was like: no problemo. 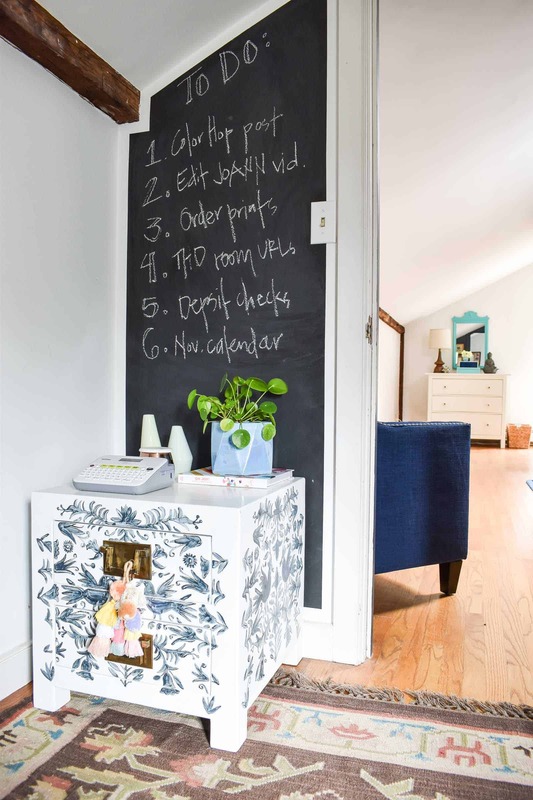 Then I went up to my office, took maybe 5 minutes to tape off a section of the wall for a chalk board To Do list and I was like: super simple. Last, I painted and pulled off the FrogTape and I was like: whoa, could that BE any easier. 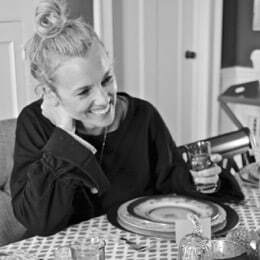 To get into the details a little more, let me back this story up. 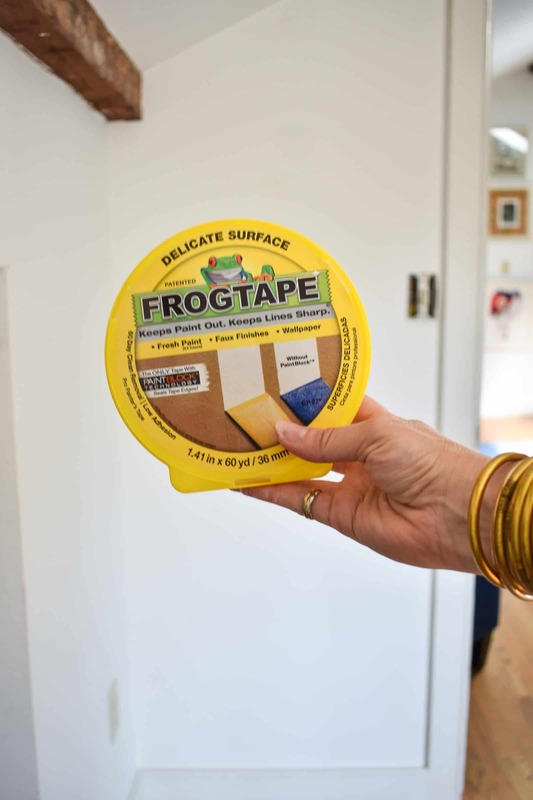 FrogTape comes from a magical mixture of unicorn tears and fairy dust and actually reacts to the water in latex paint to form a micro-barrier along the edge of the tape: aka PaintBlock® Technology . Which in human terms means: no to bleed through, yes to crazy clean lines. I used the corners of the wall as a guide, and opted for the yellow ‘delicate surfaces’ version just because our old walls peel apart if you look at them cross eyed. 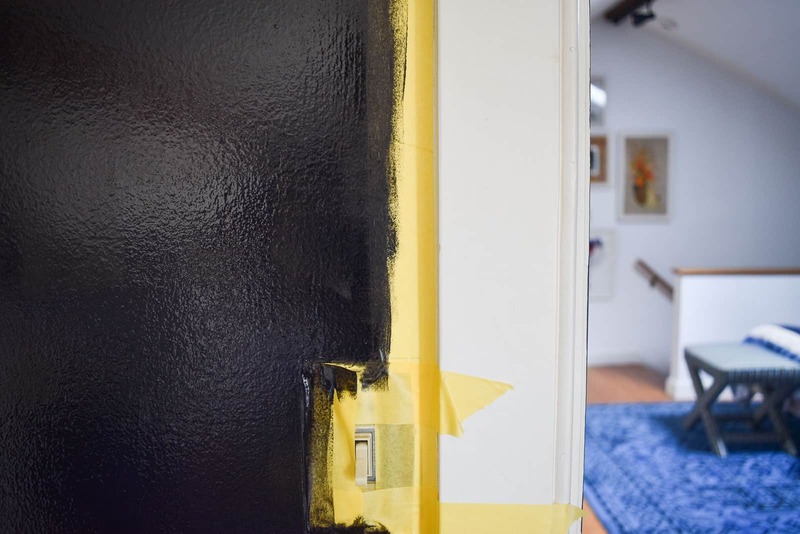 Whenever you’re taping off an area to paint, you want to go back over the edges of the tape to make sure they’re adhered along the edge. 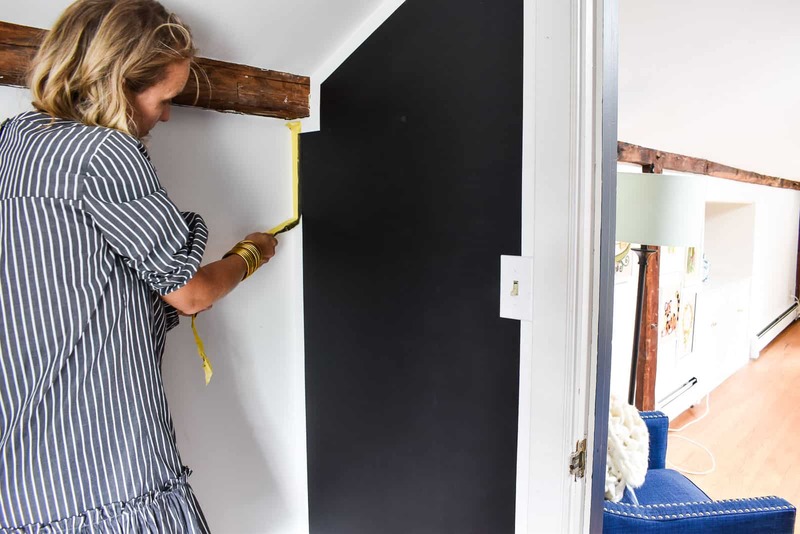 There are lots of techniques that involve going over the tape edge with the matching wall color to ‘seal’ the tape and THEN going over with the intended color that you’re taping off for… with Frog Tape you can just smack on your paint and call it a day! 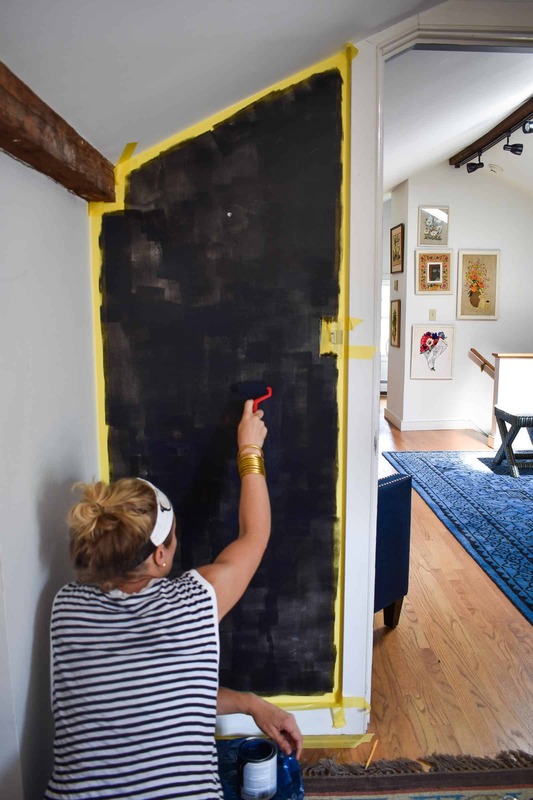 I gave my chalkboard wall 2 coats of chalkboard paint and then pulled off the tape. Let’s take a minute to ogle those crisp clean lines shall we? 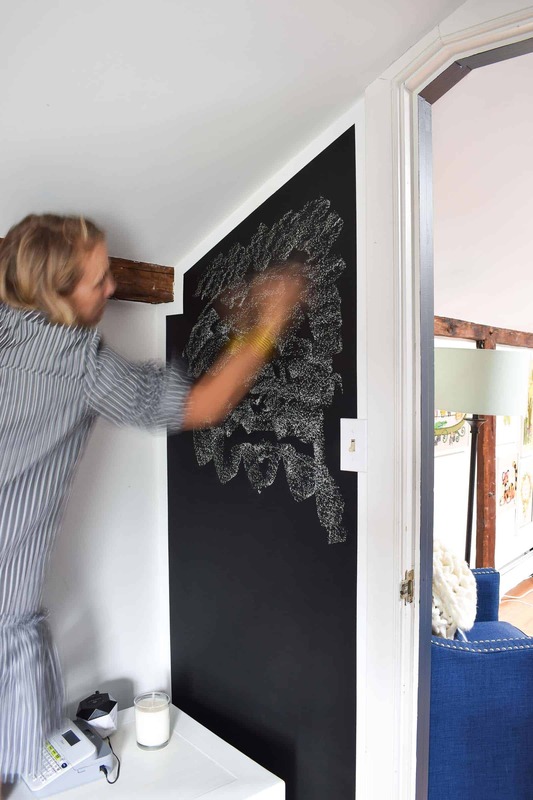 Tip: Whenever you’re painting with chalkboard paint, you want to let the paint sit for three days and then prime the surface by rubbing chalk all over the chalkboard and erasing it off. 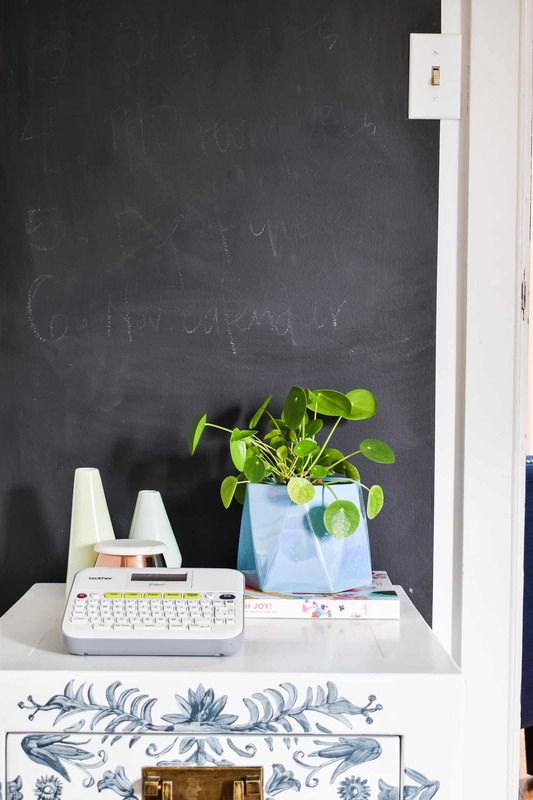 I love my mini chalkboard wall and having my To Do list front and center. 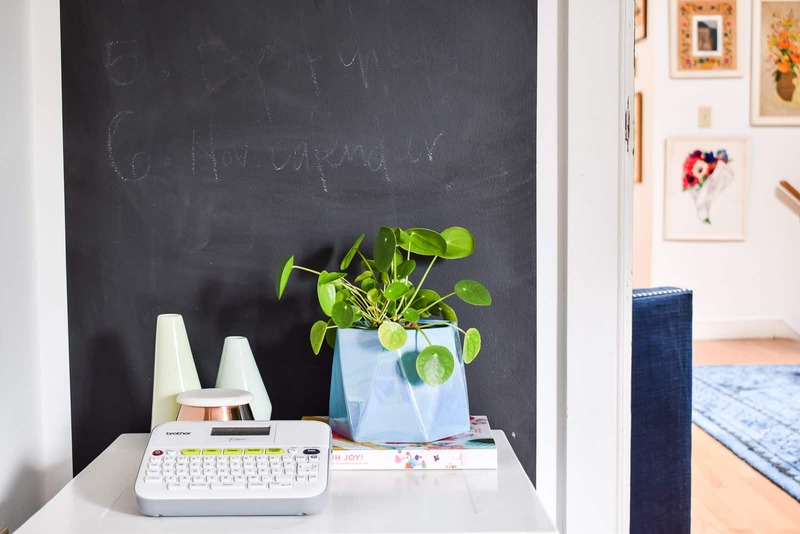 I’m up working in my office a few times a week and this simple addition has been a game changer. Nice Job! 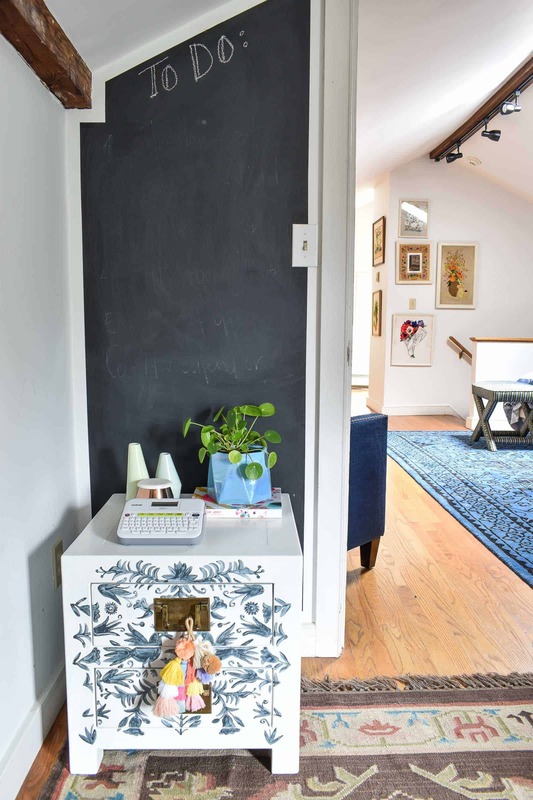 I did a similar Chalk Board Wall and added Magnetic Paint behind the Chalk board for Magnets. Got it at Home Depo but my only suggestion is to put at least two coats of the Magnetic Paint on or even three. It would only hold Lighter Magnets and Light Weight paper otherwise. Also, I suggest that folks keep the chalk board outside of the direct kitchen if possible. 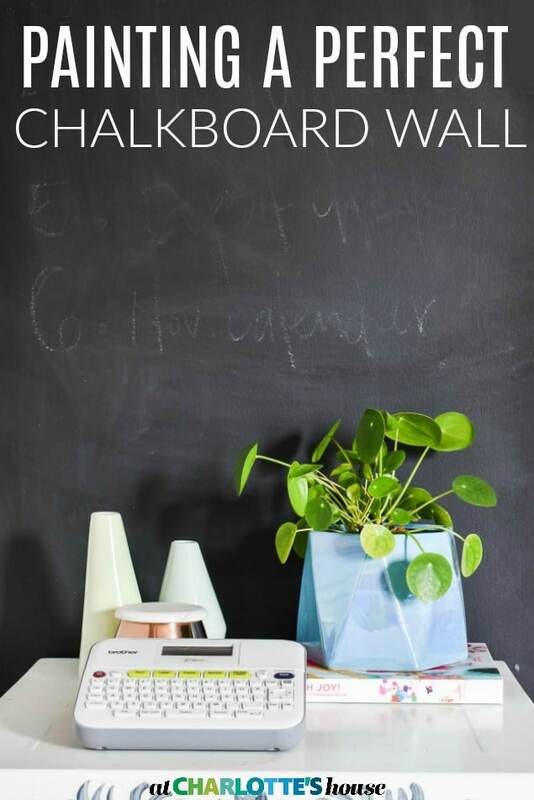 My kids loved to draw on it – thus lots of chalk dust!